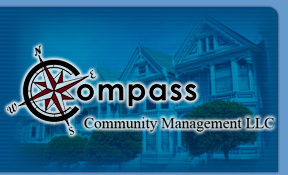 Compass Community Management, LLC, founded in 2007, specializes in providing only the highest quality community association management services available in the state of Nevada. Our commitment to our clients and staff is the key ingredient in our success. We have recruited and trained a group of the most knowledgeable, most responsive, and most honest management and financial staff of people in the industry today. Our commitment to these people and to you is that we wholeheartedly support the enhancement of their professionalism. We provide our people with the training, resources, technical support and environment conducive to producing the highest quality management service. Our management philosophy involves the Board of Directors and the Management Company functioning as a team. To promote this team effort, Compass Community Management, LLC sponsors, as well as teaches various educational opportunities for Directors to facilitate the Board’s ability to effectively participate, as the Board is an integral part in the success of your Association.